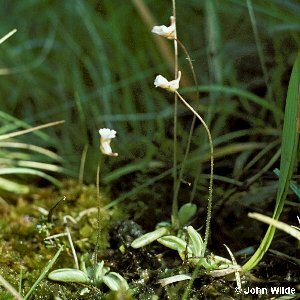 The leaves of this plant are similar to those of the common butterwort (Pinguicula vulgaris) and it grows in similar situations: on rocks or soil where water seeps over the surface. 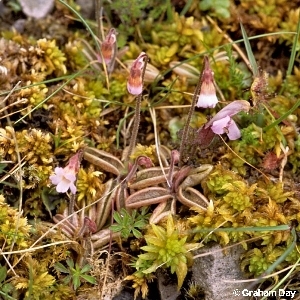 The flower is much smaller and paler than that of common butterwort, and the leaves tend often to be reddish in colour. All names: Pinguicula lusitanica L.